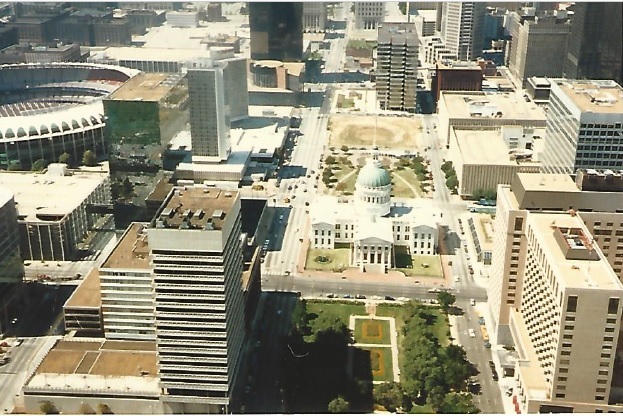 I found some old pictures my family took from the Arch back in 1986-7; in the upper left, you can see the Cupples Warehouses sitting vacant. 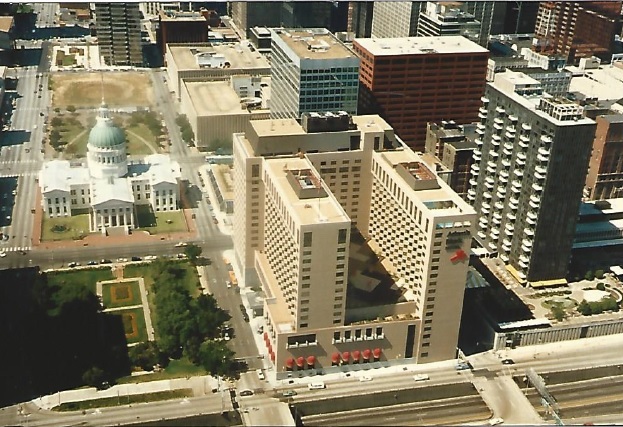 The first Kiener Plaza, now demolished, was just starting construction. The ash trees are now gone, but they were relatively young thirty years ago. 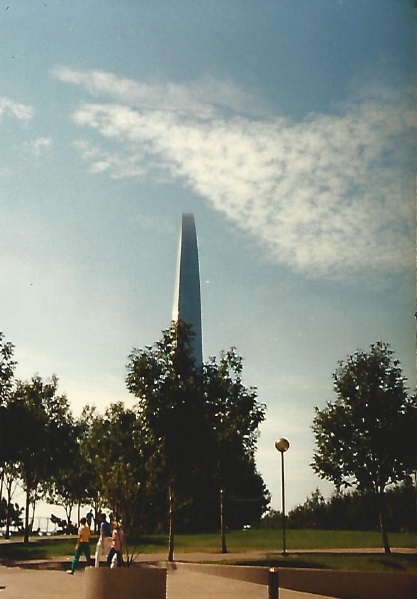 Below, the Metropolitan Square Building was not yet under construction.